I’ll be honest, I don’t remember why I wanted to read this book. Perhaps it was recommended to me by someone at some point, but all I know is that at some point, for some reason, I picked up the audio book of this book and finally got around to listening to it. I went into this book fairly blind. I had only the vaguest of inklings what it was about. But sometimes it’s best not to know anything about a book and discover it all along the way. I’ll admit, at first I fell in love with the story. Having Wil Wheaton as the narrator was a treat, especially given that this book is a spoof of Star Trek. The first few chapters were very enjoyable as the character roles and story got sorted out. The humor of the story had me laughing at various points, though I found this petered off in the second half of the book and was all but nonexistent at the end. I have to admit, that the conversations in this book grated on my nerves a bit. Every ounce of dialog seemed to consist of very short sentences, followed by he said or she said. So over the course of five minutes, the majority of what I hear was “he said, she said, he said, she said”. It drove me bonkers. You do not have to put “he/she said” after every single bit of dialog. And there are other ways to say “said” which could have been used. This sadly continued throughout the whole book and was incredibly annoying. I don’t know if this was added because it was an audio book or if the book itself was written this way, but man did it lower my enjoyment of the book. This was especially the case when a conversation was held between two people, for example, when Dahl and Duvall were talking. So basically it was go “Dahl said, Duvall said, Dahl said, Duvall said” and so on, until the names disappeared completely and all I heard was “D said, D said, D said” and then I had to question who was saying what because the names were too damn similar when repeated that many times. The idea behind this book was an interesting one, with real life and fiction intermingling. I liked the entire concept of the book. But sadly the dialog had already made me dislike the book as the chapters passed and by the time I was half done, I just wanted it to be over with. To top it off, I found the final three chapters to be my least favorite. The book could have ended in the previous chapter and I would have been happy with it, but then these three extra long chapters came along and I just lost interest. In fact, I had to force myself to listen to them because I just didn’t care. Yes, they added something to the story, but I didn’t feel like the reader really needed those bits. Overall, the book was okay. Funny at first, entertaining and then it just lost itself in the second half. I’m still glad that I listened to it, but I don’t think I would recommend this one. Also, if swearing offends you, then this book might not be for you, since it has a decent amount in it. This entry was posted in Audio Books, Books, Science Fiction and tagged Audio Books, Audiobooks, Book Review, Books, Science Fiction. Bookmark the permalink. 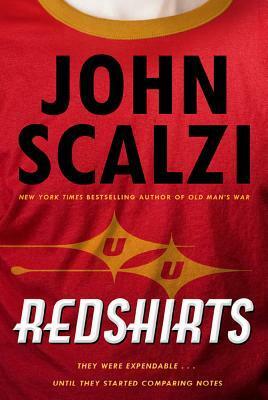 This is only the second of three Scalzi books that I have read now, but I’m still on the fence on whether I like his writing or not. 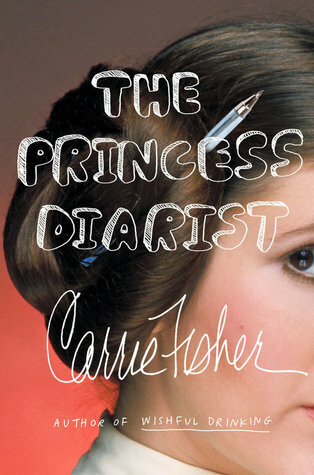 I would still recommend reading it, because who knows, you might enjoy it more than I did. I always try to be honest in my reviews, otherwise, what’s the point of posting them. I have this on audio too mostly because of Wil Wheaton, but still haven’t listened to it. I think I might feel similar to you, but I still want to try it for myself. Honestly, the only reason I got this one was because Wil Wheaton narrated it. Definitely give it a shot. Who knows, you could enjoy it. Hmm, I think I might skip this one after your comments – I do find Mr Scalzi entertaining, but the things you note would all annoy me too. I was always on the fence about Redshirts anyway – I think this lets me slip down the far side and get on with my afternoon. Thank you! I don’t want to deter people from reading a book, because a book I don’t like may be a book you like, but hey sometimes it’s best to do so. If you were already on the fence about it then I think it would be best to skip this one. That was kind of my reaction as well. I saw it as kind of a joke story that just went on too long. I thought the awkward writing was an intentional part of the parody (I could be wrong), but I also got tired of it after a while. The writing very well likely has to do with it being a spoof, but that doesn’t make it any easier to get through it. Like I said, it was a neat idea to start with but the delivery of it fell short. Really, you didn’t like Redshirts? I absolutely loved it, and laughed so much. I also went into it blind. Which kind of made it even better. The second half, yes… The codas were… Different. And while I did like them, I also felt like I might have enjoyed the book more if they weren’t there, although they make certain things a lot clearer. But you have to admit that the idea of the book was totally amazing! It’s broke the 4th wall, and that just doesn’t happen so often, and it’s hard to do it in a good way. Oh I fully agree, the idea of the book is downright amazing. I mean, that’s the thing that kept me listening through the whole thing, because it was just so different, but in the end, yeah I just couldn’t love it. Though I am glad I did give it a try.